Vertical mounting-profiles, DIN-rails, 19-inch frames, earth kits, document holders, and plinths for use with ES466E Series cabinets. These are galvanised, folded-steel profiles which may be fitted to the rear of the ES466E Series wall cabinets. 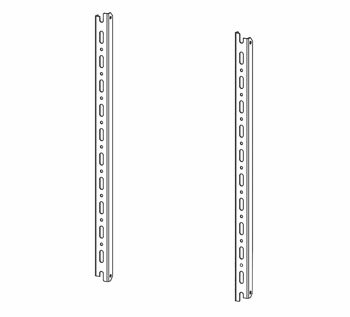 The mounting profiles are alternately-perforated, down the full front-face, with 25x8.5mm slots and 5.4mm diameter holes. Available in eight heights and supplied as a pair. 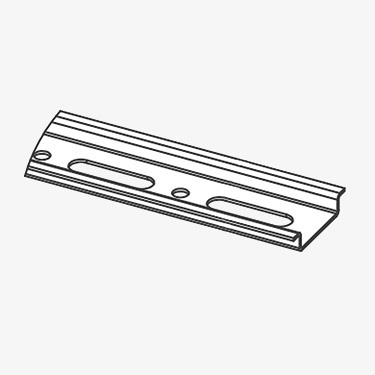 The DIN-rails listed in this section can be horizontally fixed to these profiles, to mount electrical components and devices. Note that the cabinet mounting-plate must be removed before installing the vertical mounting-profiles. Used to mount electrical components and devices. 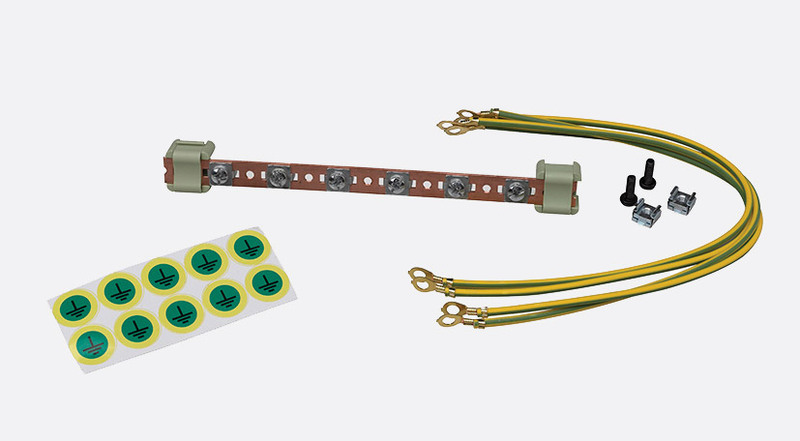 These DIN-rails are made from 1mm galvanised, folded-steel, available in five widths, each 35mm high and 7.5mm deep. They are alternately-perforated, across the full width with 30x8mm slots and 5.4mm diameter holes, for easy installation. These are galvanised, folded-steel profiles which may be fitted to the rear of the ES466E Series wall cabinets. 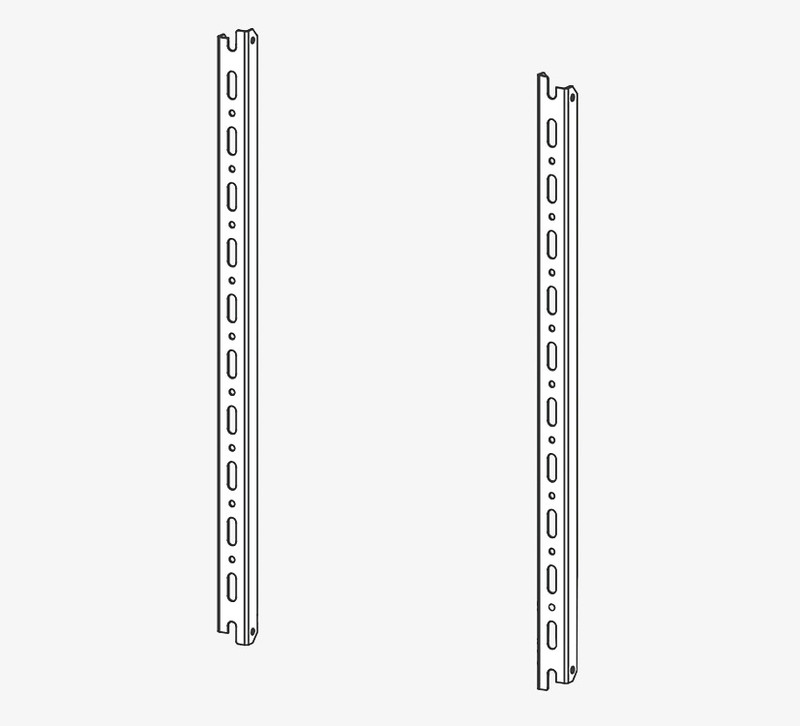 Available in two heights, 12U for 600mm high cabinets, or 16U for 800mm high cabinets, the profiles are 'U' shaped with perforations to take cage nuts on the front and rear. In the centre of the 'U' shape, alternately spaced down the full height, on the 16U model, are two 1U and three 2U 'fold out' mounting surfaces; on the 16U model, there are three 1U and four 2U surfaces. As a result, the 12U model offers up to 20U of mounting space; the 16U model offers up to 27U. Note that the cabinet mounting-plate must be removed before installing the 19-inch mounting-profiles. Supplied as a pair. Minimum cabinet depth: 250mm. Used to provide a central point for equipment earth connections. Available in three styles with 6, 10 or 44 earth points. Each supplied with 4x 4mm diameter 40cm earth link cables. Useful for storing important diagrams or instructions within a cabinet, these document holders are available in two sizes, to suit either A4 or A5 size documents. The A4 model is 30mm deep and suitable for cabinets 400mm wide and above; the A5 model is 20mm deep and suitable for cabinets 300mm wide and above. 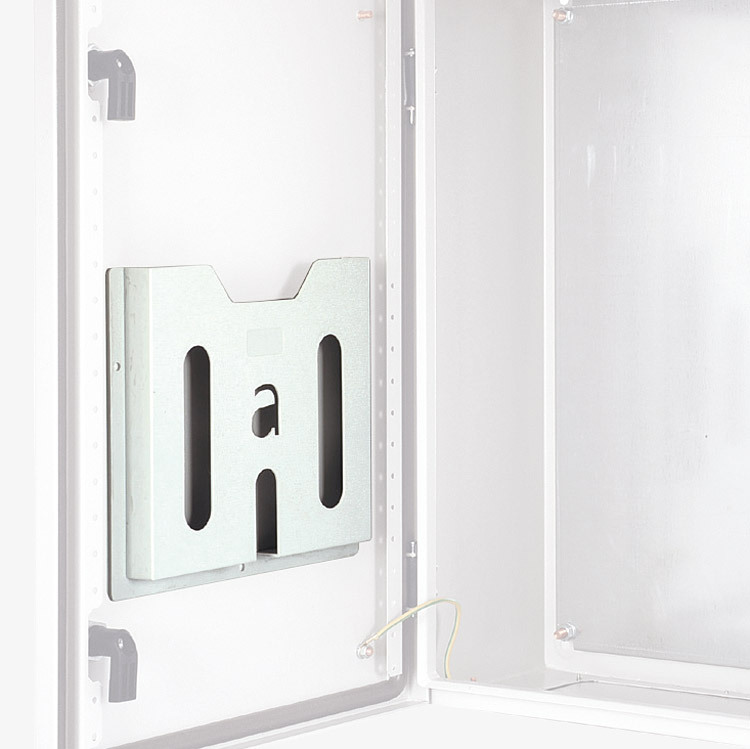 The self-adhesive rear allows quick installation on the inside of a cabinet door. Used to space the cabinet off the floor by 250mm, allowing access for cables from below, into the base of the cabinet when the cabinet is on a solid floor. On the front of the plinth is a large aperture for cable access. One plain cover plate is supplied with an EPDM rubber gasket to maintain IP66 sealing. A gasket is also supplied for the top edge of the plinth. Note that the plinth has pre-drilled mounting holes, but matching holes should be drilled into the cabinet base to allow installation. M5x15 screws are recommended for mounting. Finish: RAL 7035, epoxy polyester powder-coat paint, galvanised steel.